Charm and whimsy. 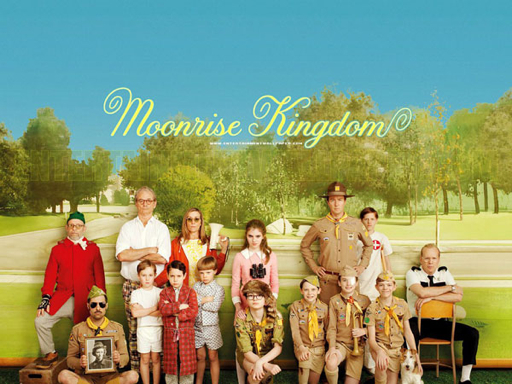 Wes Anderson brings them in spades in all he does, and with his newest feature he has settled into his style and that effortless perfection is felt through each vintage tinged frame of this story of young love. I suppose if you're not a fan of Anderson's particular style, then this won't change your mind, but this is a swift moving wonderful example of how far he's come. After much deliberation and a few physical arguments I've come to the conclusion that The Fantastic Mr. Fox is my favorite of his films, and while this film doesn't reach those heights of brilliance it's a welcome addition to his ouevre. Anderson's style is felt in every aspect of his films. His camera movements manage to evoke a sense of wit that surpasses most actors. He moves his camera on a track through locations highlighting small little moments and giving you a nice wink all the while. 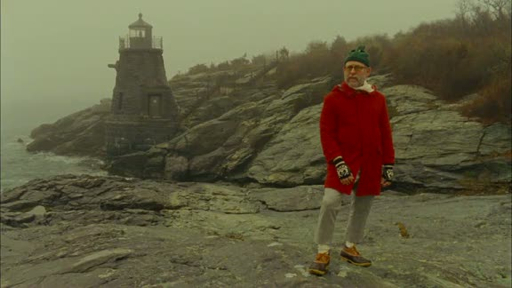 It's a strong visual style that makes his films feel like moving paintings of Americana. He is also a fan of center framing his actors. It's a technique not widely used, since it gives an awkward sense of framing to the viewer. It always works in his films since he revels in stories of the dysfunctional, the dreamers, the outcasts, and the damaged. His films are about the charmingly awkward nature of the human condition. He tells stories of real relationships with all their complexity and uncomfortableness, and he does it with an extremely stylized sense of dialogue. All this comes together with his warm color palette(felt ever so strongly in The Darjeeling Limited) to create a tone and an atmosphere that is undeniably his. His films vary in success, and his dedication to certain techniques aren't always perfect. I love The Royal Tenenbaums, but my favorite of his is The Fantastic Mr. Fox, which I feel is sheer brilliance. 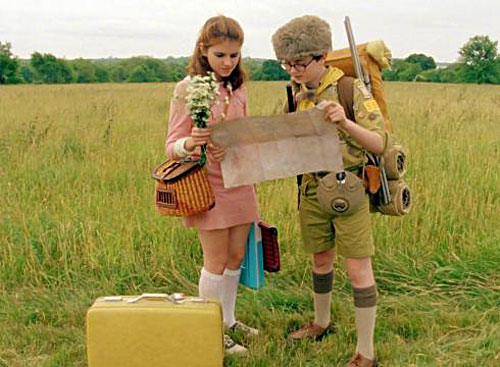 So where does Moonrise Kingdom land? Well it marks the first time for me that his style feels absolutely effortless. There is an ease to the picture that makes it move so smoothly from scene to scene. Everything about it is done with the utmost sincerity and you can sense that Anderson is so comfortable in his abilities as a director. This story of finding love might be his most uplifting film after Fox. Here we have two young kids falling in love and running away together. Is there anything more awkward than discovering love? 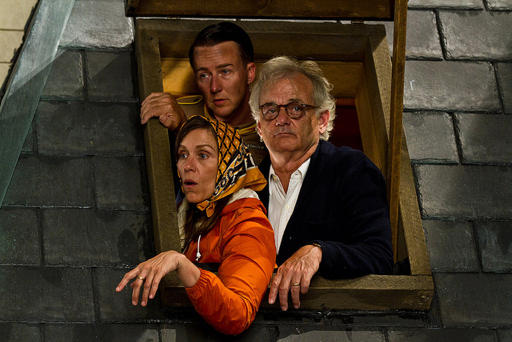 The material is perfect for Anderson and he handles some heavy themes with such a light touch that will allow it to expand beyond the art house. 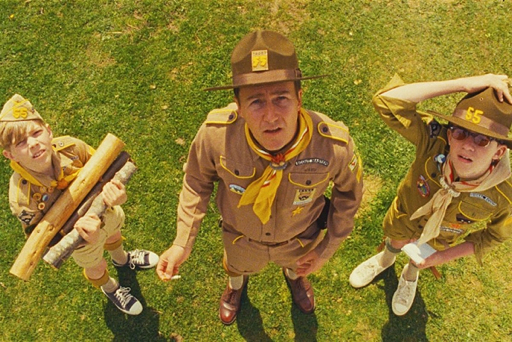 He bathes the film with his typical sense of whimsy, including a smoking scout master who has super jump abilities, search squads of little boys with bats full of nails, Bill Murray and Frances McDormand going head to head as an unhappy married couple, and Bruce Willis reminding everyone he can act outside of action films. Oh yah and Harvey Keitel of course. The film moves a long at a brisk pace and if you're along for the ride the whole thing will envelop you in its loving look at finding love in all stages of life. It's a wonderful story with some knock out performances from all included. Like I said if his movies have turned you off in the past for being too "clever" or too awkward this isn't going to change your mind. This is Anderson growing in his abilities and perfecting a style that he's been fine tuning since the beginning. Still like Fox better, but this is a wonderfully heart warming film and a great alternative to your blockbuster fare. One last thought - I like Schwarzman but its amazing how Anderson get the most hilarious performances out of him.